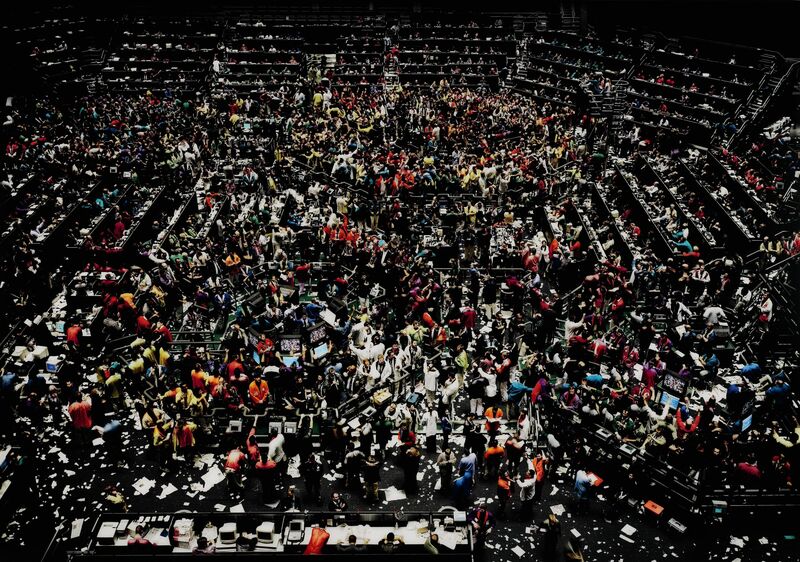 Andreas Gursky is a German photographer and professor. 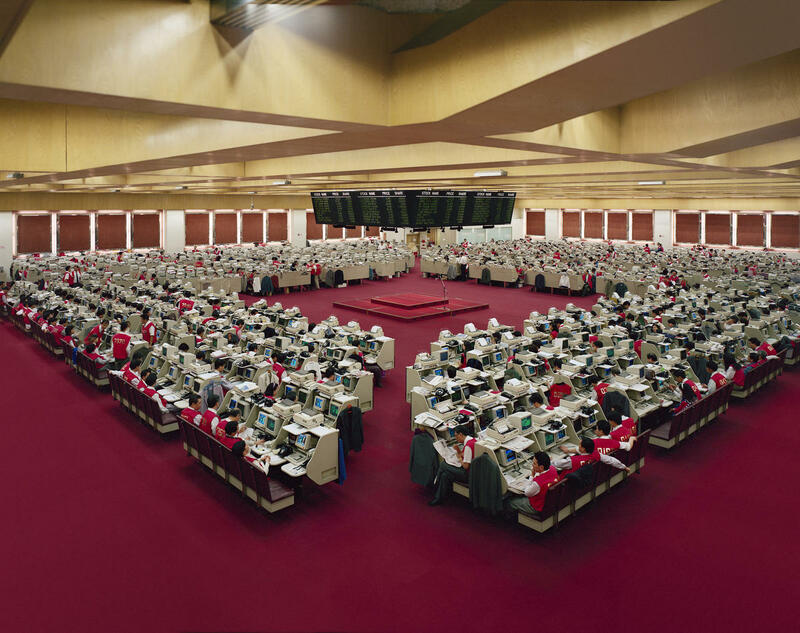 He is most well known for large format architecture and landscape color photos, and following the 1990’s; Gursky has been using technology and computers for editing and enhancing his photos. 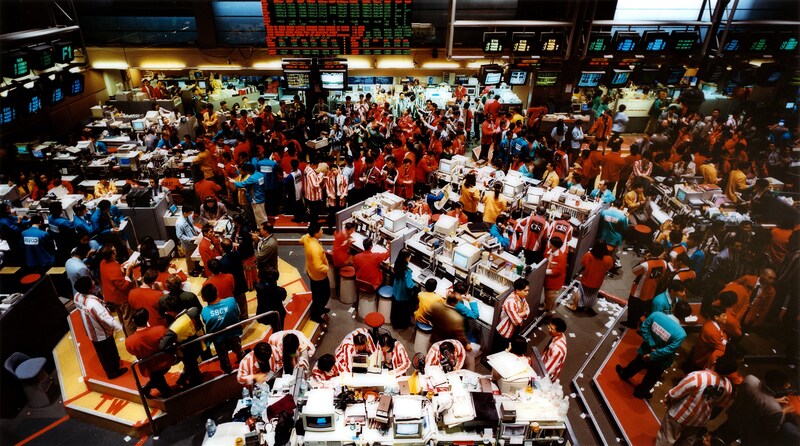 Gursky is known for using an elevated vantage point as his main perspective. 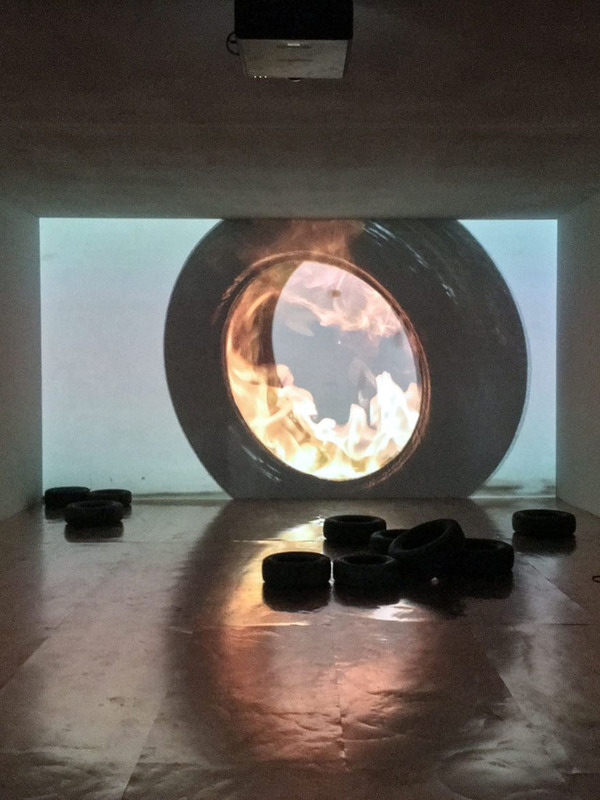 This allows the audience to view the scenes from a place that is both peripheral and central. Using each subject to create an unconventional geometry, he organizes the world fitting in with his personal visual logic. 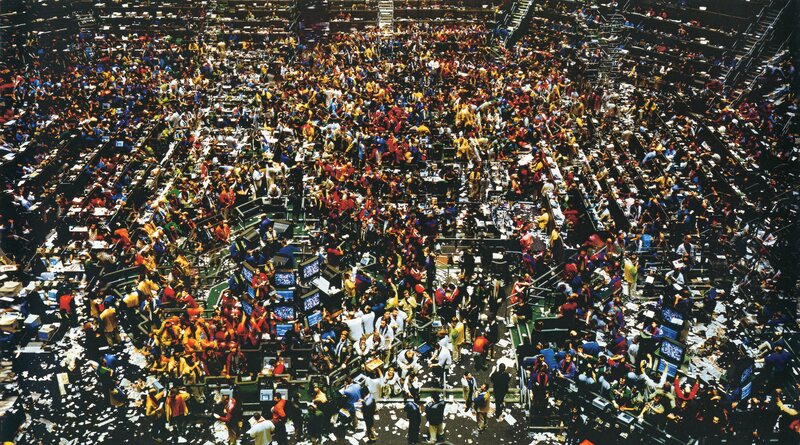 He began his portrayals of stock exchanges in 1990 and has continued this project throughout his career. Projects like this lead towards his visit to North Korea as well as a photos of concerts, sport events and other large-scale events. 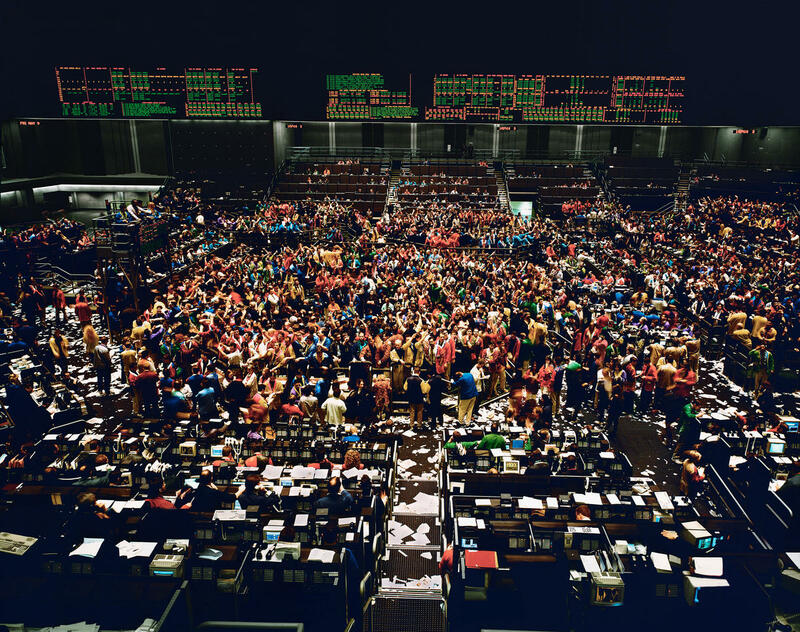 More than any artist of his generation, Andreas Gursky’s photographic eye identifies the subjects of our contemporary landscape, which most acutely defines the way we live today. 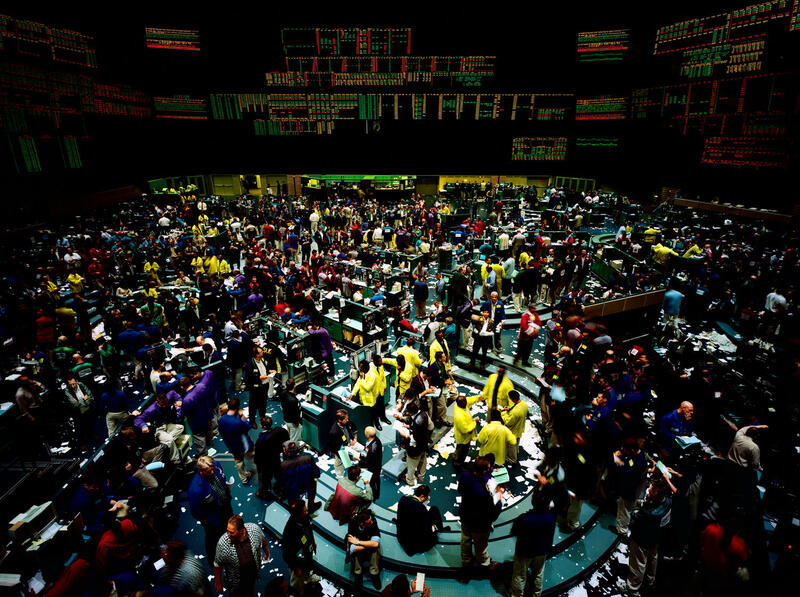 His Stock Exchange series, ten images made over 20 years on three continents, charts the history of our modern age of globalization. 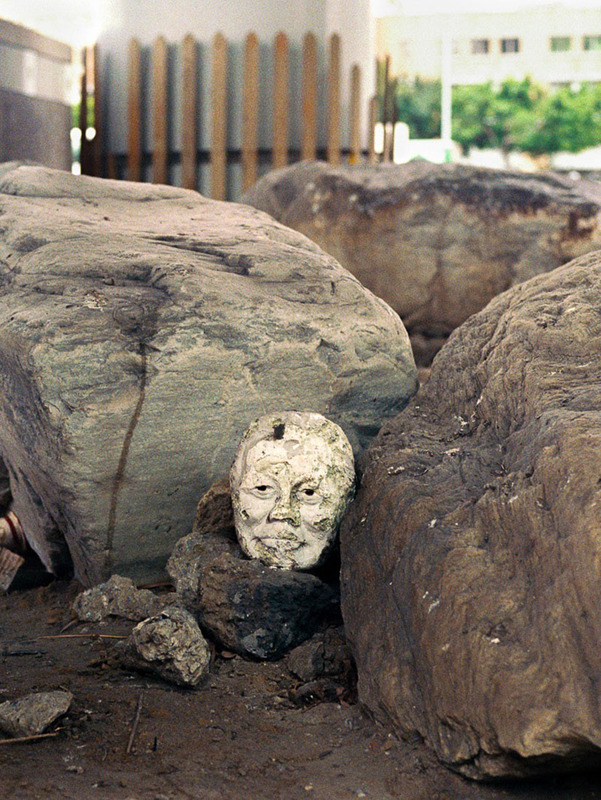 The activities of his traders link the entire globe through an invisible matrix of trades and economic dependency. Reduced in scale to the size of ants, they force the viewer to critically reappraise the very nature of human activity. 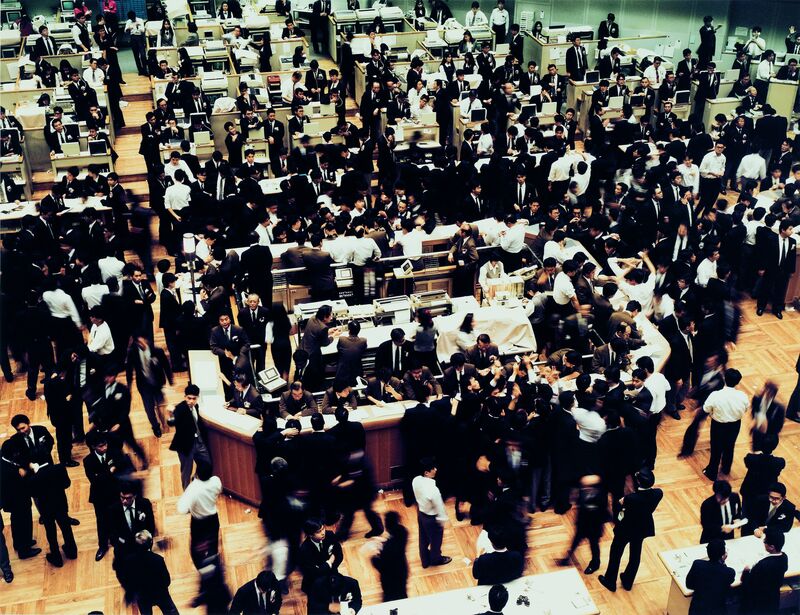 Tokyo Stock Exchange, 1990, is the first of his series of trading floors. 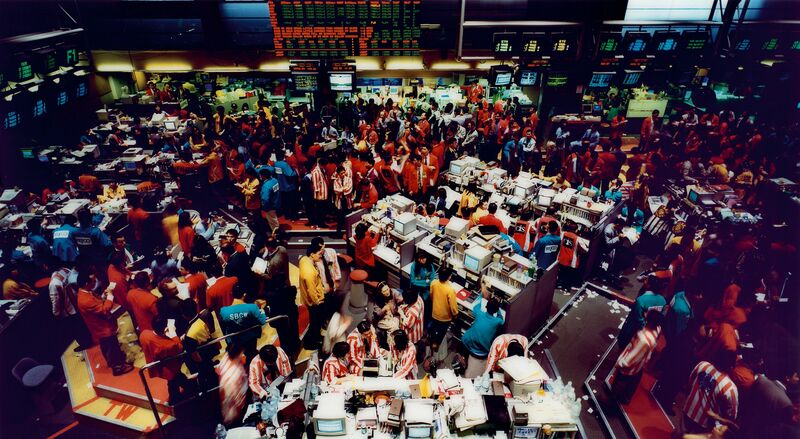 Hong Kong Stock Exchange, 1994, gives viewers a geometric panorama of the busy trading floor. The subjects (e.g. 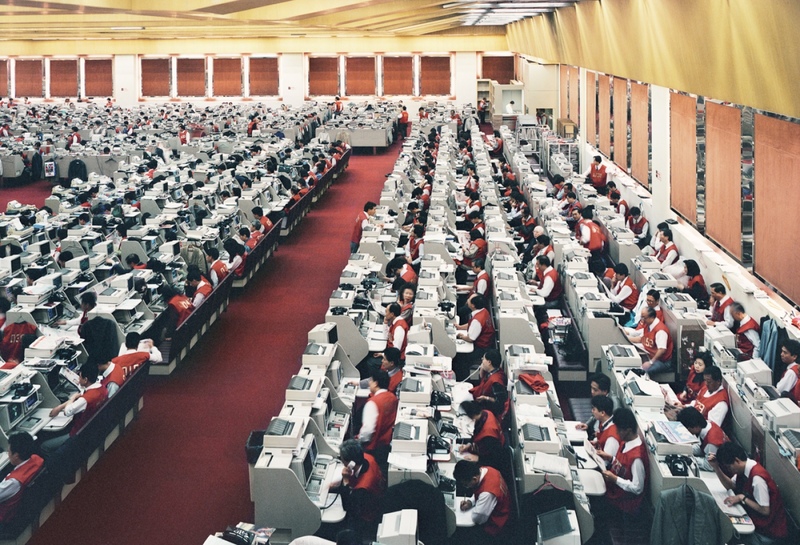 the traders) are depicted as anonymous bodies working desperately at work at computer screens. 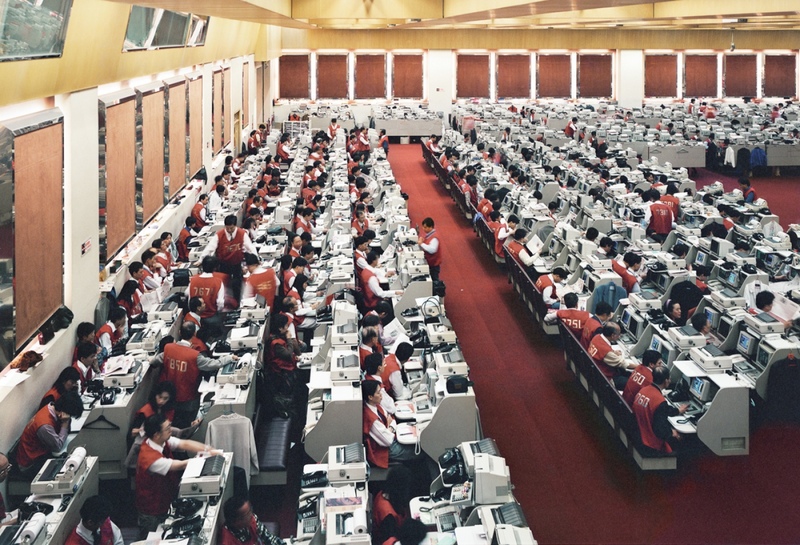 Gursky uses multiple vantage points in order to create a single extensive scene. 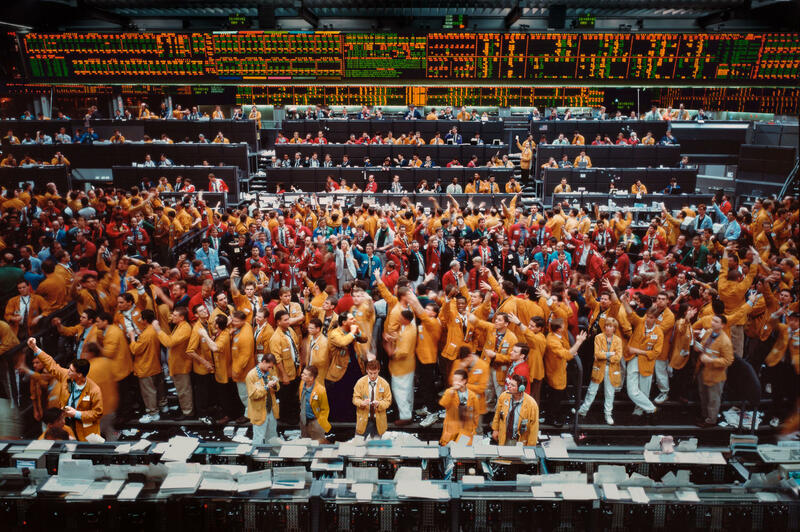 In Chicago Board of Trade, 1997 and Chicago Board of Trade III, 1999 one can see an ocean of bright jackets of the traders, symbolic in the financial world. Each human subject is reduced to a blob of color. All images by Andreas Gursky/andreasgursky.com & VG Bild-Kunst/bildkunst.de & Sprüth Magers, Berlin London/spruethmagers.com, unless otherwise noted. 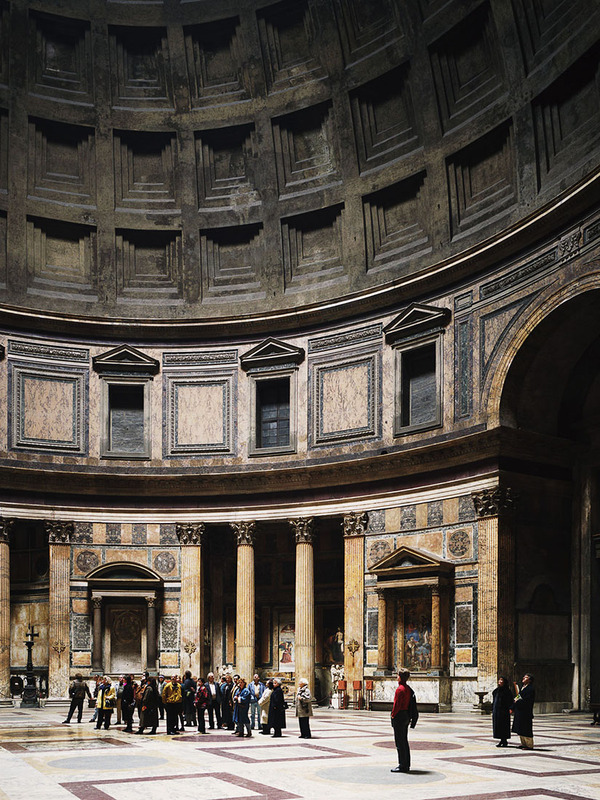 Posted on April 21, 2017	in the category Photography and tagged Andreas Gursky, Architecture, Art in Asia and by Asian artists, Art in Chicago, Art in Hong Kong, Art in New York, Art in Singapore, photography, stock exchange, Tokyo. 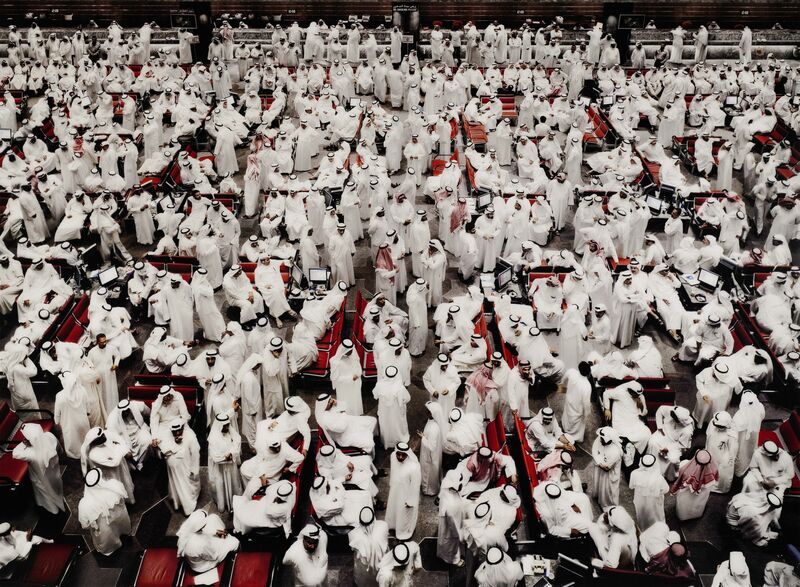 3 Responses to "Humans reduced to a blob of color – Andreas Gursky"